By Train: Tunbridge Wells is only 45 minutes by train from central London and the service runs every half hour. By Car: From London, exit M25 at junction 5: continue onto A21. After 9.3 miles bear left on to A26, southbound to Tunbridge Wells. 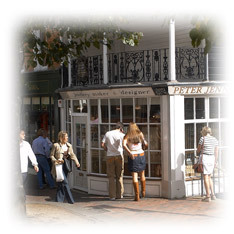 Continue along A26, The Pantiles lies on the south side of the town.